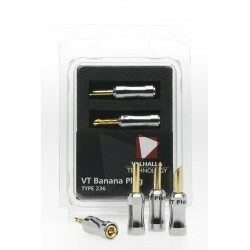 The VT Banana plug is a high quality connector for loudspeaker cables. 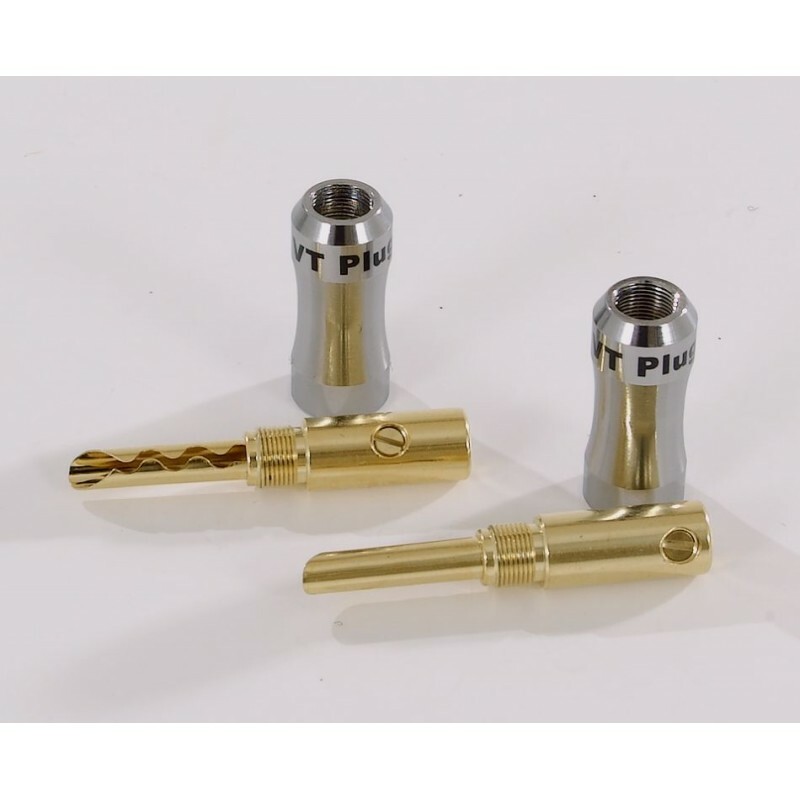 The gold plated connection ensures continuously good electrical connection. Easy to use. 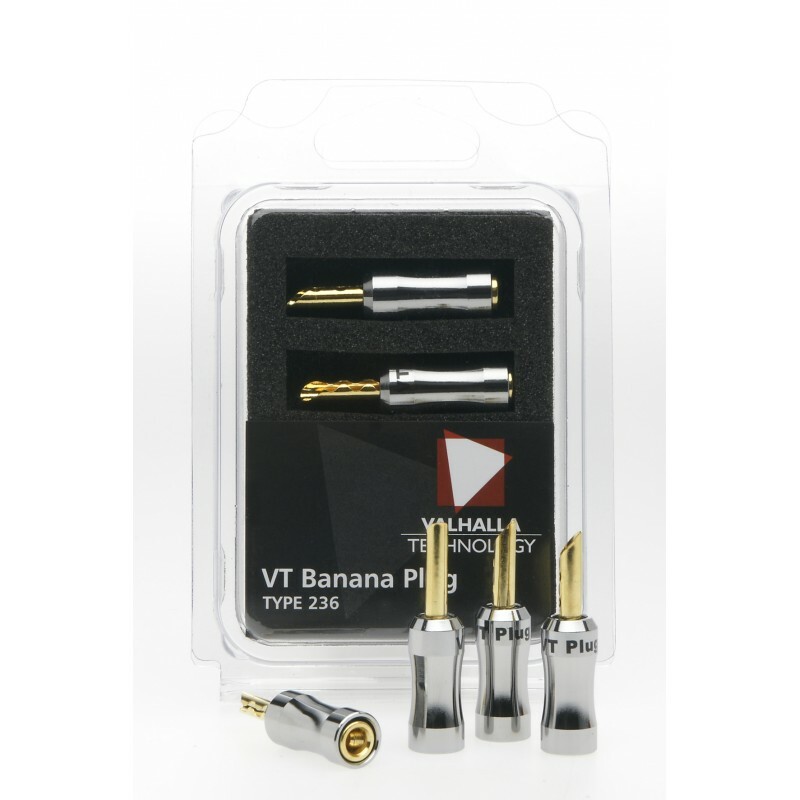 Remove 10mm of isolation from you speaker cable and insert into the cable receiver of the connector. Tighten both terminal screws until the cable is hold firmly in place. No soldering required.